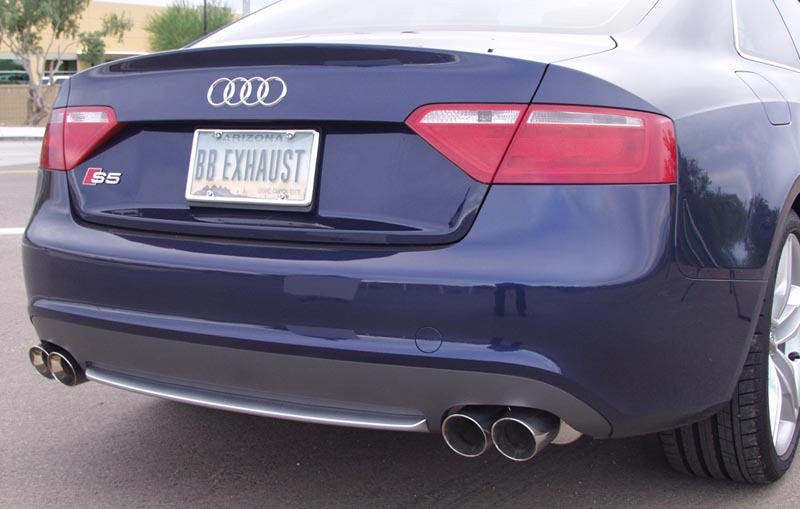 In true Billy Boat Performance Exhaust fashion, B&B has expanded their already large Audi line with the addition of a newly designed system for the all new Audi S5. Manufactured using only the highest grade T304 stainless steel materials available the full 2-1/2” system is a direct replacement for the restrictive factory system providing increases in both horsepower and torque. 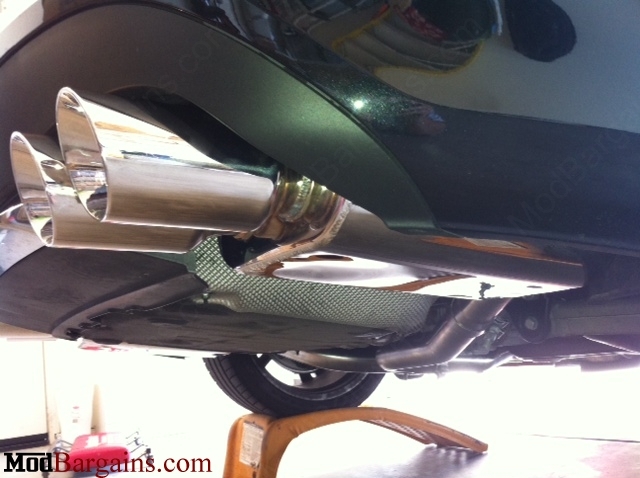 Hand fabricated mufflers incorporating B&B’s unique Purge Resonance Technology (PRT) give the S5 a distinct exhaust note that is louder than the stock yet pleasing to the ear. Billy Boat Performance Exhaust offers a touring system or a sport version that replaces the center resonator with a hand fabricated x-pipe for the owner that is looking for a louder, more aggressive note. To finish the system off B&B uses a quad tip design using 3.5” round double wall tips for a look that is pleasing to any enthusiast’s eye. With the system being an after cat design it is 50 state emissions legal and is backed by B&B’s limited LIFETIME WARRANTY! Note: This exhaust system has to be special ordered from the manufacturer so shipping may be delayed. Thanks to Jason at ModBargains for such a great deal. He also got me the short tips when everyone else said it couldn't be done. Jason is my new parts guy. Thanks ModBargains!!! 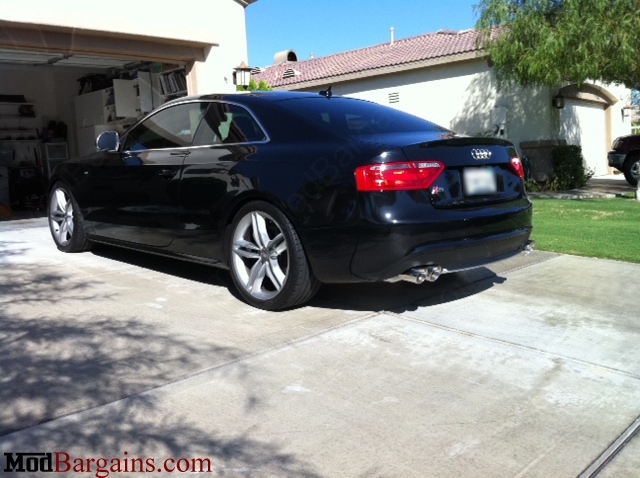 I looked long and hard at ever exhaust out there for my S5. I looked at a ton of pictures and listened to every audio I could find for over six months. I finally decided on the BB Sport for several reasons. The polished finish overall looks, sound, fit, 90mm tips and of course price. 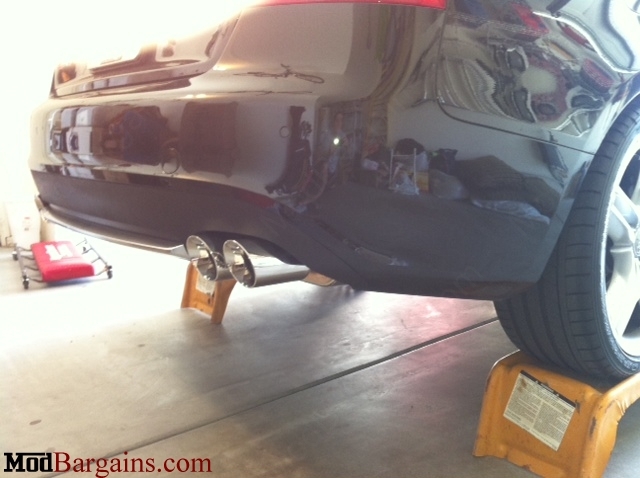 For the money this exhaust is better than some costing almost twice the price. It was easy DIY install and fit perfect. The sound is amazing, deep and exotic with NO drone (and I have an auto), my wife even likes the sound and that is priceless because she hates loud cars. Jason and ModBargins were also great the price and service was unbeatable! If you are looking for an exhaust, stop looking, this is the one for you.